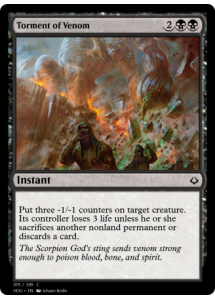 Put three -1/-1 counters on target creature. Its controller loses 3 life unless they sacrifice another nonland permanent or discards a card. 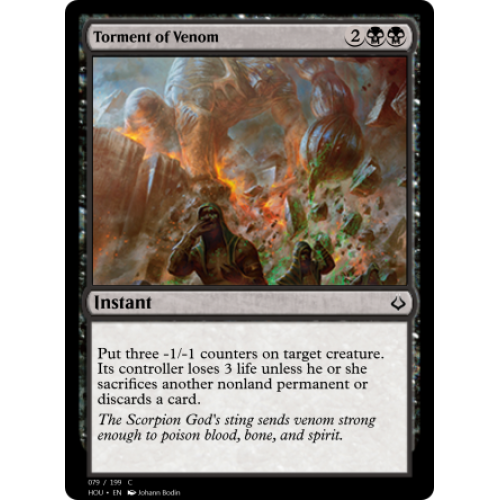 The Scorpion God's sting sends venom strong enough to poison blood, bone, and spirit.